From today, the #Guptaleaks trove of emails is to be accessible to other journalists for an opportunity to collaborate and expose the full extent of wrongdoing. 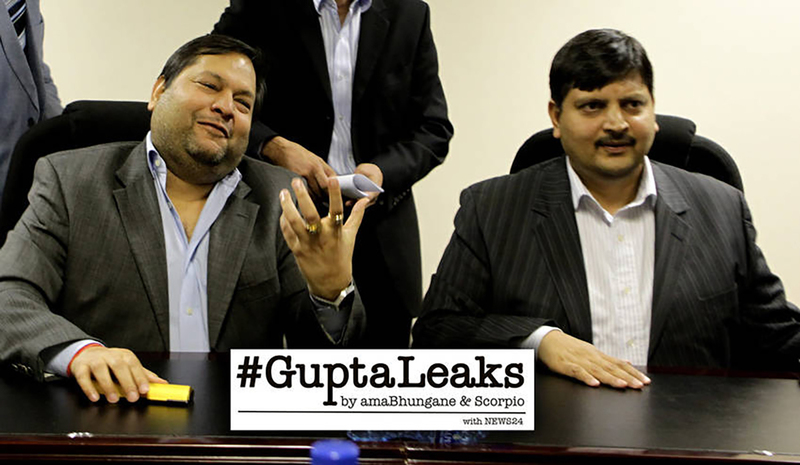 The #GuptaLeaks contain hundreds of thousands of emails and other documents evidencing how three businessman brothers, the Guptas, have “captured” political decision-making in South Africa, benefited from state contracts and allegedly laundered billions of Rands offshore. The Guptas are friends of South African President Jacob Zuma and in business with his son Duduzane. Daily Maverick’s Scorpio investigative unit and investigative non-profit amaBhungane have led reporting on the story in South Africa. The releasing partners feel that the data needs to be accessible to journalists widely given the potential for collaboration to expose the full extent of the wrongdoing. Daily Maverick is South Africa’s leading online daily and Scorpio is its investigative unit. Photo of Ajay and Atul Gupta by Gallo Images.